Small living rooms can be big on style and function. 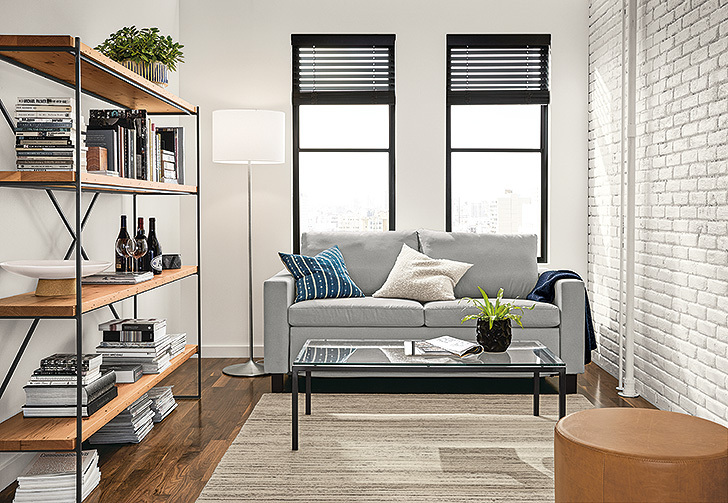 See how the three spaces below make the most of every square foot. Bold wall art is the focal point of the small living room shown above and moves the eye upward. This hand-blocked print by artist Ayomi Yoshida also sets the stage for the colors used in the room. Upholstered in the same fabric, the Jasper studio sofa and Nico office chair create a cohesive look. Plus, Nico makes a comfortable chair for guests. This small space living room also functions as a home office, thanks to the Penn table. You can also use it as a buffet or martini station when entertaining. 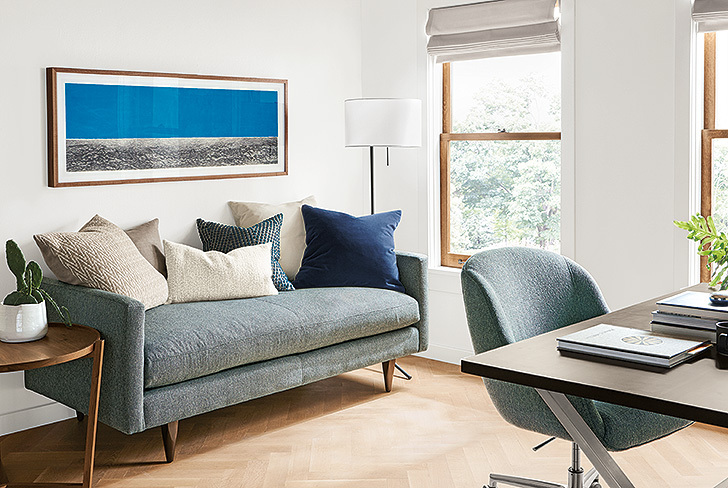 This small living room is also an inviting guest room, thanks to the perfectly proportioned Allston sleeper sofa. The Etting bookcase takes advantage of wall space to provide storage, and its slim uprights lend an airy feeling. We used a glass top on the Parsons thin leg coffee table to keep the eye moving and to show more of the soft Nomad rug beneath. Our Aero ottoman can be used as extra seating or as an end table. Open-back Dahl bookcases divide this living room from an adjacent room, adding architectural interest and plenty of storage. This room becomes even more functional with the addition of a small Parsons table. Use the space for meals, board games or office space. 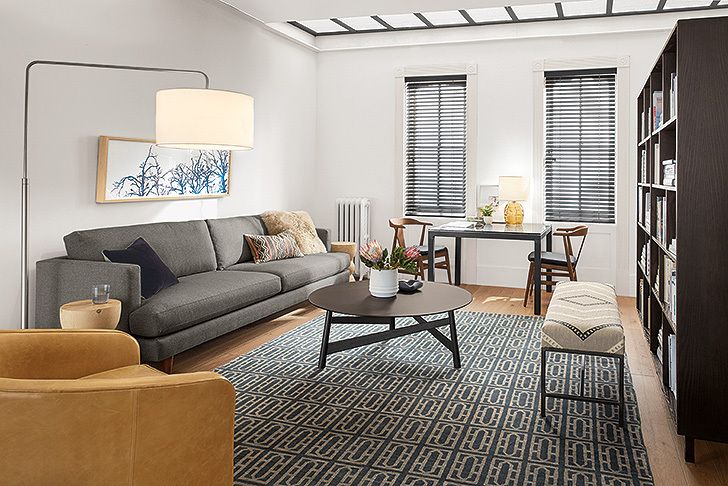 Our Rayne floor lamp can light up the entire room, yet doesn’t take up valuable space on end tables.